Do you think your vehicle might be a lemon? Is your vehicle always in the shop for repairs? Does it seem to constantly break down, even after you just had it fixed? You may be driving a lemon and under State and Federal Laws, you could be entitled to significant compensation and 100% cost-free legal representation. Is There A Used Car Lemon Law? How Can You Help Me With My Claim? I'm Looking For Car Buying Resources. I Would Like A FREE Case Review. The Lemon Law is a statute which provides recourse for consumers whose vehicles are back in the shop for repetitive repairs addressing the same issue, or an extended period of time for any number of issues. The parameters of the law are defined by each individual state. When you buy a car, truck, or motorcycle with a manufacturer's warranty, you expect problems to be fixed efficiently and effectively. If your vehicle is in the shop for repetitive repairs or an extended period of time, turn to the lawyers at Kimmel & Silverman to help you get back on the road to recovery. A full refund including taxes, tags, and finance charges. A brand new replacement vehicle. Significant monetary compensation to reflect the diminished value of your vehicle as a result of the problem, plus continued ownership of the car. DRIVING A LEMON? MAKE THE CALL TO 1 800 LEMON LAW (1 800 536 6652)! Over 25 Years Experience. More than 80,000 drivers helped. No cost to you. Since opening our first office in 1991, the Lemon Law firm of Kimmel and Silverman has provided 100% cost-free legal representation to tens of thousands of drivers throughout Pennsylvania, New Jersey, New York, Maryland, and the Northeast. We have successfully fought against every automobile manufacturer regarding almost every car problem imaginable. Get Free Help Today! Not sure if your car, truck, or motorcycle is a lemon? Find out in seconds using our Lemon Checker. Lemon Laws vary from state to state. Click on your state below to see how you're protected. 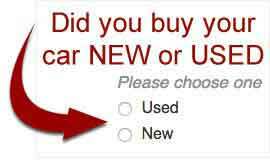 Are you having problems with a used car? You could be entitled to significant monetary compensation – plus you get to keep the car! If your used car is covered under a manufacturer's warranty (original, extended, or powertrain) and you've been back to the shop for repetitive repairs, you still have rights under a Federal Law called the Magnuson-Moss Warranty Act. Representation under the Magnuson-Moss Warranty Act is 100% cost-free. You could be looking at significant monetary compensation to reflect the diminished value of the car, plus your warranty remains in effect and the car is NOT branded in any way. Click here to start a claim. If You’re Driving a Lemon Car in the Northeast, Our Lemon Law Attorneys Are Here to Help. If you think you’re driving a lemon, we’re here to help. Fill out our "Get Rid of Your Lemon" form, or call us toll-free at 1-800-536-6652. We’ll look into your case free of charge and let you know if and how we can do. Fill in our claim form now. There is absolutely no legal cost to you, ever. The manufacturer (warrantor) is responsible for all legal fees, costs, compensation, and recovery if we prevail. If we do not prevail, you owe us nothing. There is no cost and no risk. Most claims are resolved in a timely manner, many within a matter of months. You could get significant compensation to reflect the reduced value of your vehicle as a result of the problem. 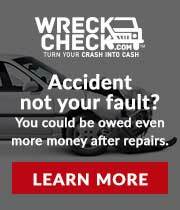 In many cases, you could even get a FULL REFUND or REPLACEMENT VEHICLE. You get to drive your vehicle throughout the duration of your claim. Even if you’re not covered by your state’s lemon law, you could still be protected. The Magnuson-Moss Warranty Act is the grandfather of the Lemon Law and provides additional protection to those who may not fall under State Lemon Law parameters. With seven full-service legal offices; 11 experienced attorneys; three ASE-certified automotive experts; and a support staff of over 30 paralegals, clerks, and administrators, we’ve got the resources, experience, and expertise to get you the best outcome for your claim. We’re proud to say our efforts as an award-winning, nationally recognized Lemon Law firm have been featured in hundreds of media outlets. These include the New York Times, Kiplinger's Personal Finance, Consumer Reports, Good Morning America, Nightline, and the CBS Early Show. We also work with the federal and state governments to strengthen consumer legislation and received a Meritorious Recognition award as part of the 2002 Louis M. Brown Award for Legal Access Competition, presented by the American Bar Association's Standing Committee on Delivery of Legal Services. Lemon Dodger Worksheet - Buying a used car? Avoid problems BEFORE they occur. Dealing With Service Advisors - What you need to know when you bring your vehicle in for repair. Know Your Rights - How well do you know your Lemon Law Rights? 2019 Car Complaint Index - Which cars receive the most complaints per sale? Vehicles With Known Problems - Search for lemon cars by manufacturer. Client Testimonials - "I was delightfully surprised at the ease of the entire process." Beware of "Spot Delivery" - Read this if your dealer threatened to repossess your new car because they could not obtain financing. We've been featured in hundreds of consumer news stories. 2017 Ford Explorer with exhaust smell in the cabin. Full repurchase under MA Lemon Law. 2016 Volkswagen Passat, EPC light x4. Replacement vehicle under NY Lemon Law. 2015 Nissan Rogue in 4x for antifreeze problem. Brand New Car. 2014 Nissan NV2500 with engine issues at 49,000 miles. Client received $5,000 plus kept their vehicle. 2017 Nissan Pathfinder with electrical issue with rear camera. Full repurchase under NJ Lemon Law. 2016 Nissan Pathfinder, Traction control light x3. Full repurchase under PA Lemon Law. 2015 Audi Q5 in 7x for check engine light. Complete repurchase under PA Lemon Law. 2014 BMW M5 with suspension problem. $14,500 plus attorney fees and client keeps car. 2016 Volkswagen Golf CTI with mildew from vents. Full repurchase under NJ Lemon Law. 2015 Mazda CX9 in 4x for engine problems. $7,000 plus attorney fees and client keeps car.